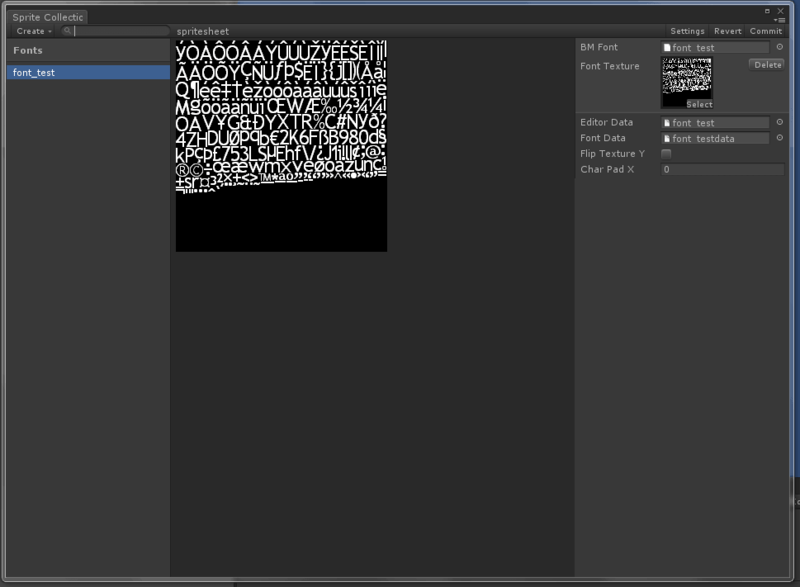 You may import a font into a sprite collection should you wish to save on draw calls further. One limitation of importing a font like this is the "gradient" feature is unavailable when the font is imported in this manner. 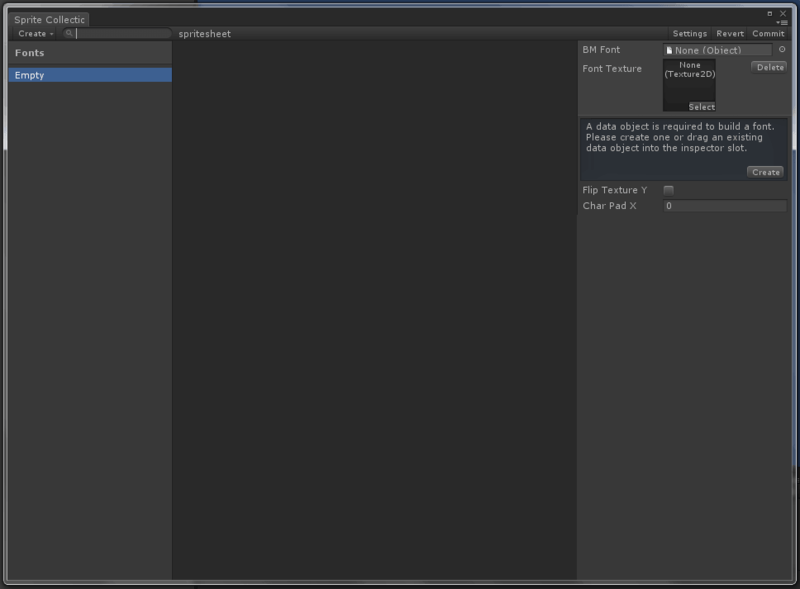 Create a new sprite collection and open the sprite collection editor, or open an existing one. Click on "Create > Font". Drag the bmfont xml or text file into the "BM Font" slot. Drag the font texture into the "Font texture" slot. If your texture isn't in the correct format to be read by the sprite collection editor, you will be presented with a prompt to fix this. Keep in mind that this is a GLOBAL operation, and will affect all other instances of the font. If you intend on using the same font with the other method, it is a good idea to create a copy and import that into the sprite collection. If you don't have a data object, you will be shown a prompt to create one - click on "Create" and chose a target file to write to. Click "Commit". You should now be able to use this font just like any other font. You can add as many fonts as will fit into a sprite collection.